If you’re a music maker who often uses Propellerhead‘s Reason as your DAW, the company has just launched the official release of a brand new update to the popular software. According to the Propellerhead website, Reason version 10.3 comes with a much anticipated performance update, giving its overall workflow ability a nice facelift. This update is being offered for free for Reason 10 users, and will automatically appear as an option as soon as you launch Reason — this, paired with the option to give it a trial period, should give users absolutely no reason to pass up on installing this update for themselves. Propellerhead‘s Reason 10.3 provides a boost that will completely turn Reason’s current process behind how it handles buffer sizes on its head. And for users who prefer to use a lot of VST plugins, this should come as a major relief. With a newly offered setting within the DAW preferences, people will now be able to see an option to “render audio using audio card buffer size setting.” This setting will be turned on by default — so you only really have to look for it if you don’t want it on. With this simple setting, the host computer can easily process and maintain integrity. This, in turn, gives the users the ability to assign more plugins than ever without experiencing audio processing issues on buffer sizes over 64 samples. Although it will vary not noticeable the difference is to users, depending on the types or amount of plugins being used in a session, Propellerhead seems quite confident in this new update. In fact, the company has even stated that throughout its testing and users’ own experiences with the beta version of this Reason update, improvements have been seen on a scale of 10% to well over 200%. Of course, with any exciting update, there is sure to be a slight downside. Propellerhead has also noted on its website that in previous versions of Reason, with a buffer size fixed at 64 samples, users had almost never experienced delays. With its new, changeable buffer sizes in place, there is going to be a higher chance of users hearing a difference, or experiencing a slight delay within certain areas. For best practices though, it is recommended that older sessions be brought up with the new default setting mentioned above unselected, or to simply set the buffer size to 64 samples in Reason’s settings. 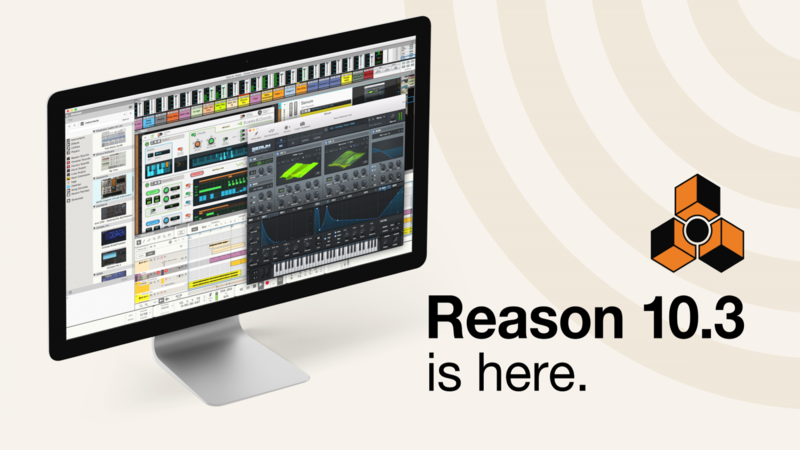 If you don’t already have Propellerhead’s Reason, you can get it from Amazon, or Guitar Center.